If you were an admissions counselor, I would be automatically denied because I failed to post this letter on my usual time on my usual day. Reason for denial: can’t make deadlines. I’m sexting you my statement of porpoises. Thankfully this is not how you roll. Getting into Heaven is actually easier than getting into Harvard. 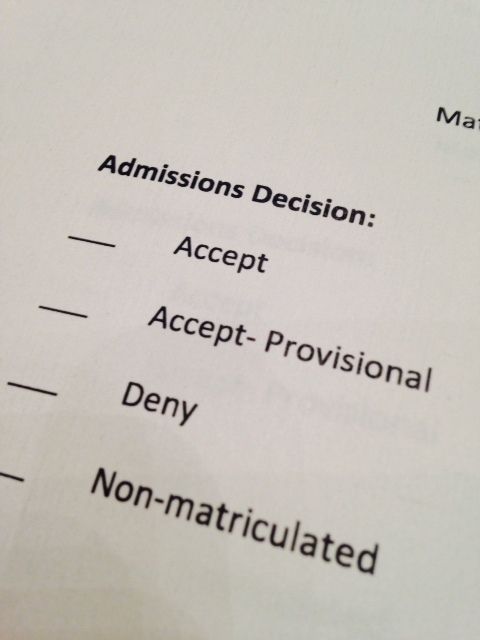 Thankfully you are NOT an admissions counselor. And if you were, you would be the worst admissions counselor ever—you let anybody in who believes in your Son. And you do have unbeatable retention rates.